Martha Capwell Fox has been the Archives and Museum Coordinator for the National Canal Museum/Delaware & Lehigh National Heritage Corridor since 2012. She was the assistant to the NCM Collections Manager from 2003 to 2005, and guest curator of the NCM exhibit “Behind the Seams: The Silk Industry in Eastern Pennsylvania.” Martha has presented three papers at Canal History and Technology Symposia: on the silk industry in the D&L Corridor, a biographical sketch of nineteenth-century entrepreneur José de Navarro, and an industrial history of Catasauqua, Pennsylvania, the site of the first commercially successful anthracite iron furnace. She was a Pennsylvania Commonwealth Speaker from 2004 to 2006. Also a professional writer and editor, Martha worked in magazine publishing at National Geographic and Rodale, Inc., and has published four books on local historical topics and three young adult histories on swimming, auto racing, and the Vatican. She is a graduate of American University with a dual degree in international relations and U.S. history. The log house will be open for tours, and the kitchen garden will be refreshed and planted with a selection of medicinal and culinary herbs and plants. Join us for strawberries and ice cream, too. Join us for the dedication of our new memorial brick patio, located just behind the barnyard wall at the museum. Also, visit our museum and then enjoy a wine and cheese reception with relaxing harp music by Erika Gustavson in the upstairs social hall of the Camp Olympic barn . The Bartholomew Center is located in the upper barn at Camp Olympic. When you enter the park, go across the creek and straight ahead. The barn is on your left. See the drawing on the left. During events, parking is limited at the lower level, so please park in the upper lot and walk along the driveway to the lower entrance. 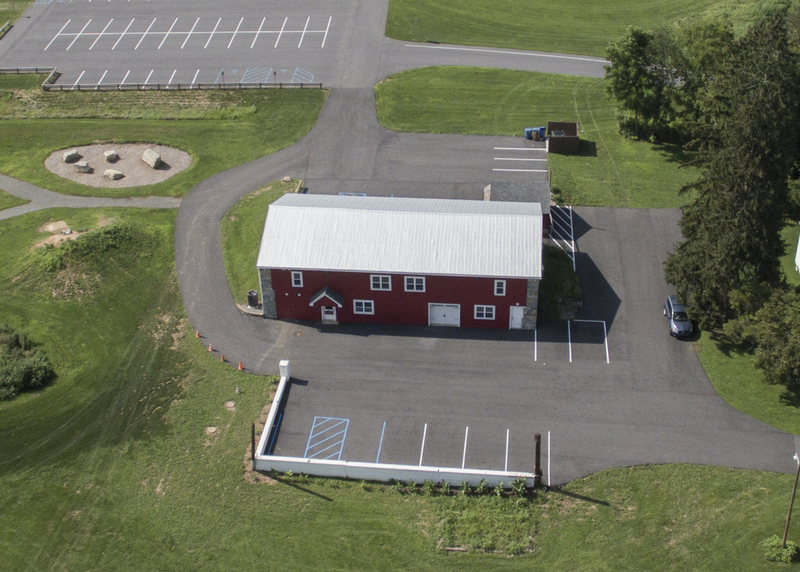 LMTHS Board meetings are typically held at 7pm on the 4th Wednesday of the month at the Bartholomew Center for the Preservation of Lower Macungie Township History at the Camp Olympic barn, lower level. Jon is an artist who draws inspiration from the rustic scenery of northern Berks County and his travels throughout Bucks and Chester Counties. His paintings reflect the awesome sunsets and atmospherics of the Kittatinny Ridge and iconic farmsteads of Pennsylvania Dutch Country. Jon works primarily in oils, most often on wood panels, and occasionally on scraps of cardboard when preparing studies or sketches. He also works in watercolors and egg tempera. Jon has exhibited in countless juried shows and has been awarded numerous honors for his work. His art adorns homes, businesses and churches throughout eastern Pennsylvania and the United States. 2019 marks the 45th year of Jon’s profession as a painter and graphic artist. Jon estimates that he’s painted nearly 2,000 original paintings and designed more than 30,000 graphics for signs, murals, garments, vehicles, and antique implements. Visitors are welcome to visit Jon’s art studio and gallery in Kempton, Berks County. The converted tobacco barn houses more than 100 originals at any given time and offers scenic views toward The Pinnacle and Hawk Mountain Sanctuary. Sarajane Williams offers favorite stories, memories and music of Macungie native, harpist Dorothy Knauss. Revered as "Lehigh Valley's First Lady of the Harp," legendary Ms. Knauss performed with the Allentown Band for over 65 years. A student of Ms. Knauss, Sarajane will play Dorothy's gold concert harp during the presentation at the Bartholomew Center for the Preservation. Catasauqua and Fogelsville Railroad south of Alburtis. 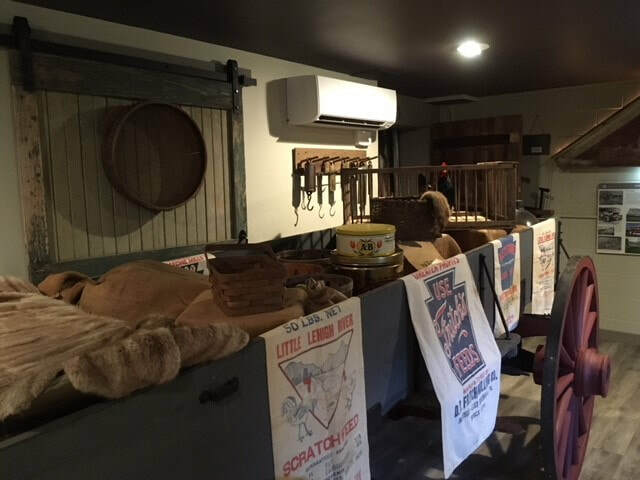 Lee Lichtenwalner shares memorabilia and stories about the Lichtenwalner family and the important role that they played in the cultural and agricultural history of the township at the Bartholomew Center. Speaker: Tom Applebach. LMT Community Center. Co-sponsored by the Macungie Historical Society and VFW Post 9264, Macungie. Good food, warm fire, and good company in candlelit setting with live harp music. Open to all. Celebration of the 150th anniversary of blowing in the first furnace at Lock Ridge, No. 7 Furnace of the Thomas Iron Company, on March 18, 1868. Have you ever found a box of old postcards in an attic or a closet and wondered about the significance, collectability or value? Please join us at the Bartholomew Center for the Preservation of LMT History to find out! Lehigh Valley Postcard Club program director Jeff Donat will provide a Powerpoint talk to enlighten us about the history and collectability of postcards. Be sure to visit our table when you come. Construction of the Catasauqua and Fogelsville Railroad commenced in the mid-1850s to bring limonite iron ore from western Lehigh County to the iron furnaces along the Lehigh River. It was extended in the mid-1860s to the magnetic ore mines at Rittenhouse Gap. This hike and tour includes Rittenhouse Gap and parts of the right of way along the Catasauqua and Fogelsville Railroad south of Alburtis. Reservations can be made by contacting Kevin Shoemaker at 484.366.9987 or email at alhs18011@aol.com. Sunday, May 20, 2–4 p.m. - Spring Planting at the Log House in Wescosville. The log house will be open for tours, and the kitchen garden will be refreshed and planted with a selection of medicinal plants. Also, retired teacher and antique dealer Barb Kemp will demonstrate how to process and spin wool and alpaca fibers. She has been fascinated by spinning wheels ever since she was a child and says, "The mesmerizing wheel transports you to another world." Barb and her family have participated in the Goshenhoppen Folk festival, where she has demonstrated her craft for many years. Please join us and take a spin. Sept. 25, 7 pm: Greg Huber - "Pennsylvania Barns"
Macungie Institute, 510 East Main St., Macungie. Oct. 17, 7 pm: Doug Peters - "Transportation History"
Group tour of the Sigal Museum in historic downtown Easton. The museum , includes the Northampton County Historical Society. Please let us know if you plan to attend, to ensure your discount admission of $5.00. Easton is famous for its restaurants, so you may want to include lunch on this excursion. The log house will be open for tours, and the kitchen garden will be refreshed and planted with a selection of medicinal and culinary herbs and plants. Your children may assist in the garden, and adults will enjoy a walk with local historians to read and discuss signboards at Hamilton Crossings. Free. by Douglas Pitchell and the New Jersey Frontier Guard "1756"
Over 80 years have passed since the last trolley car of the Allentown & Reading Traction Company (A&R) ran on the streets of Allentown The company served Allentown, Dorney Park, Wescosville, East Texas, Trexlertown, Breingsville, Maxatawny, Monterey, Kutztown, Lyons, Fleetwood, Blandon, Temple, and Reading for over 30 years until final abandonment in 1936. The A&R, which owned Dorney Park until the mid-1920s, had the unusual distinction of having two different track gauges: standard from Allentown to Kutztown and wide gauge from Kutztown to Reading. Join us as Doug Peters presents a slide program showing a trip over the line from Allentown to Reading and the bus service that replaced it. Our first spring program will trace the life of Rev. Abraham Blumer, from his birth and family in Switzerland, until his death and beyond. Rev. Blumer, a Reformed clergyman who was pastor of Allentown's Zion's Reformed Church in 1777, was an influential and respected local figure who remains largely unknown today. But this was not the case before the 20th century, since the Blumer name and family were involved in many local enterprises of note. Today, he is most remembered for his role in support of the American Revolution and the Liberty Bell. The lore of Pennsylvania German folk healing, commonly known as Powwow in English, or Braucherei in the Pennsylvania German dialect, is a topic of great fascination. Patrick Donmoyer, of the Pennsylvania German Cultural Heritage Center at Kutztown University, will examine the wide spectrum of folk beliefs of the Pennsylvania Dutch, past and present, and demonstrate how folk ritual has been interwoven with everyday life throughout the past three centuries. The Fleetwood Metal Body Company was a custom automobile coach builder in the early 20th century, similar to the Duesenberg Motors Company of Indiana. The Fleetwood company was purchased by Fisher Body in 1925; and in 1931, Fisher moved the business to Detroit and incorporated it into the General Motors family. Bill Strause, president of the Fleetwood Area Historical Society, will tell the history of this fascinating Berks County industry that was the origin of the Cadillac Fleetwood model, and explain how two of it's employees and their descendants are still contributing to the legacy of Macungie today. Come enjoy an afternoon of old-fashioned family fun at the Bortz Log House in Wescosville Park. - cancelled due to inclement weather. Th﻿ursda﻿y evening, September 10, LMTHS president Sarajane Williams and her brother, Stephen Rauch, will present an illustrated talk about their new book, Rauch, Handwerk & Co., Builders, Jordan, PA. The book is subtitled A Family’s Contribution to Early Transportation and Commerce, and tells of generations of a family that made carriages and wagons, and sold equipment to area farmers. Books will be available for sale. Refreshments after the meeting. 7 p.m., Macungie Institute, 510 East Main St., Macungie. Saturday, October 10, 11 a.m. Field trip to the Schwenkfelder Library and Heritage Center in Pennsburg. For directions, click here. If you want to carpool, let us know and we will meet you in the Lower Macungie Community Center parking lot at 10:15. Sunday, October﻿ 18, 2-﻿4 p﻿m Harvest Festival at the Log House with roundtable discussion of living in Ancient Oak in the 1960s and 1970s. Why this was such an important industry, when it started, and why it ended. Ken Littlefield is the consulting geologist for Upper Saucon Township, where the deep mines spread over a large area between 309 south and the village of Friedensville. The LMT Garden Club and historical society members laid a wreath and place flags to mark the day of remembrance at the memorial to fallen WWII soldiers. The Lower Macungie Barn Expo was a collaborative effort between the LMTHS, the Schwenkfelder Museum & Heritage Center, the Historic Barn and Farm Foundation, and the Pennsylvania German Cultural Heritage Center at Kutztown University to raise awareness and foster appreciation of the regional, cultural, and economic importance of the Pennsylvania Barn in the Lehigh Valley and adjoining communities. The informative program presented by nationally recognized speakers, in addition to a tour of a local barn, provided educational resources for the documentation, preservation, and restoration of local barns. Moreover, barn owners gained valuable insights about cost effective and efficient solutions for repairing and preserving their barns, tax incentives and ideas for re-purposing barns. Ray Finkelstein spoke about Covered Bridges in the area at the Macungie Institute on April 24. It was a very interesting illustrated discussion of the history of this type of bridge in the Lehigh Valley. Historical society members hiked and followed an old rail bed to the site of the Rittenhouse Gap mines on April 26. On May 17, Pat Taylor provided a colonial cooking class at the log house. Participants were surprised to find that the food prepared over an open hearth was just as good as food cooked in a modern oven. Becky Short portrayed "Mistress Rebecca" at our meeting at the Macungie Institute, on May 22. Her presentation on necessary herbs for healing and cooking ranged through the centuries, and provided a most entertaining look at plants grown at different times and for different reason. Several of our members attended the observance of Memorial Day in Wescosville, where a monument was erected in 1948 to honor the memory of seven local young men who had died in World War II. The Lower Macungie Garden Club did the honors, placing seven flags in front of the monument. Among those attending were a few surviving WWII and Korean War combat veterans. See photos on Facebook. Sept. 13: PA Dutch players at the Macungie Institute; 1-3 pm. Sunday, Oct. 12: LMTHS's 25th Anniversary Celebration at the LMT Community Center, 3450 Brookside Rd, Macungie, PA 18062; 1-4 pm. Food, demonstrations, history and genealogy, exhibits, children's activities, gifts, antique appraisals and more. Saturday, Nov. 1: 'Collections Care 101' Class with Candace Perry at the Wescosville Recreation Center, 9:30 am- 12:30pm. Saturday, Dec. 13: Christmas Open House at the Bortz Log House in Wescosville, 4-7 pm. Good food, warm fire and good company in a comfortable 19th-century, candlelit setting. Open to all. Park in the Wescosville Rec Center parking lot, and walk up the path marked by luminaria to the front of the log house.